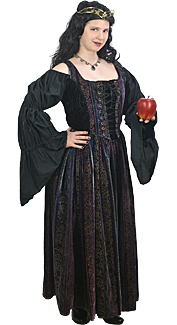 A Renaissance Queen-style costume with a dark velvet outfit. 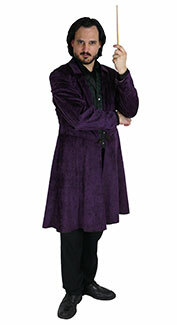 A Very stylish wizard rental costume. 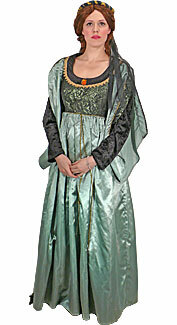 A green costume with a jewel-tone gown. 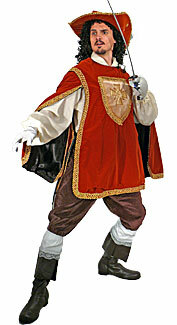 A Cavalier-style costume with a red velvet tabard. 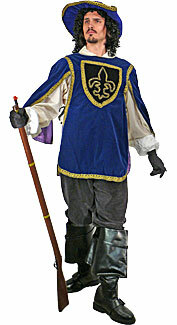 A Cavalier-style costume with a blue velvet tabard. 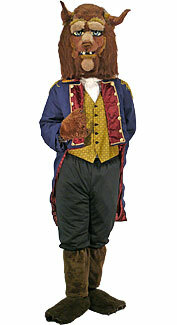 A Cavalier-style costume with an orange-brown velvet tabard. 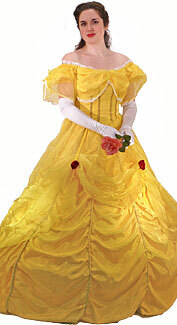 A Crinoline princess costume with a filmy yellow gown. 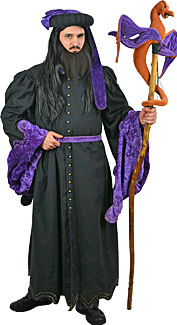 A black Wizard costume with purple trim. 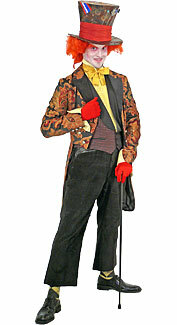 A deluxe cat costume with a Cavalier-style outfit. 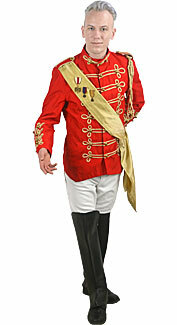 A Victorian-style costume with a brocade tails coat. 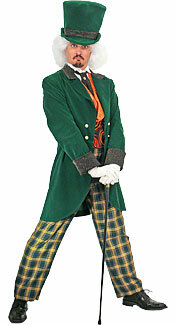 A multi-colored costume with a green and gold coat. 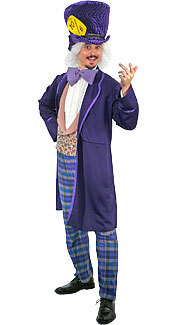 A purple, pink, and blue costume with a tails coat. 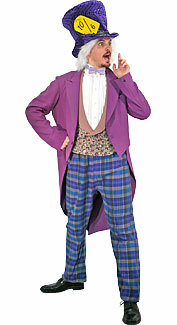 A purple, pink, and blue costume with a frock coat. 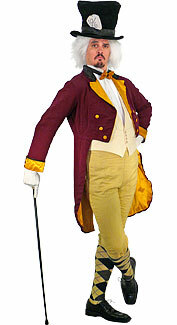 A maroon, cream, and gold costume with a tails coat. 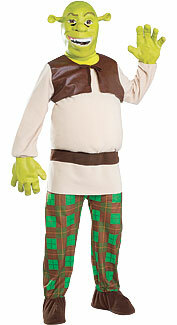 An officially licensed costume based on the movie Shrek. 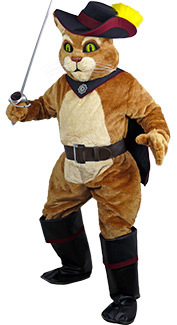 A dark brown "creature" mascot costume with horns. 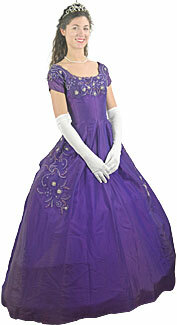 A fairy tale Princess costume with a purple gown. 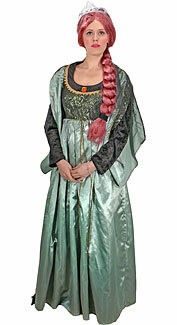 A fairy tale Princess costume with a green gown. 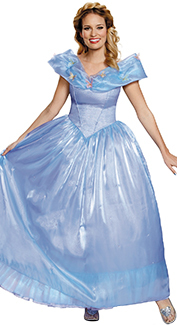 An officially-licensed costume for the Disney princess. 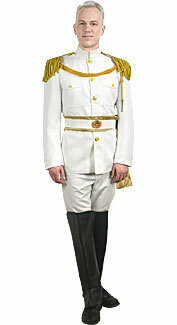 A storybook prince costume with a white jacket. 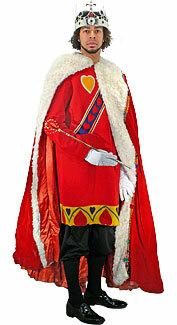 A storybook prince costume with a red jacket. 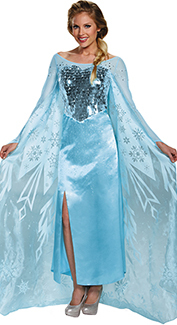 An officially-licensed costume for Elsa. 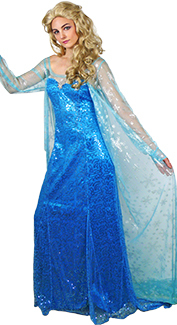 A long blue gown with sequins. 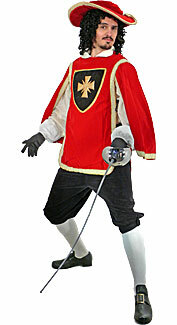 An all-black masked pirate and an all-white princess. 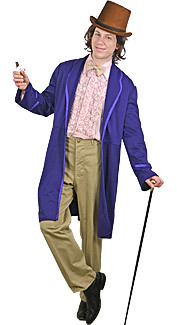 A chocolatier costume with a purple coat. 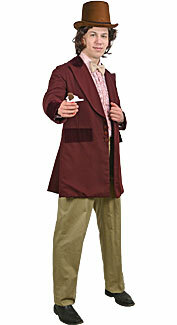 A chocolatier costume with a maroon coat. 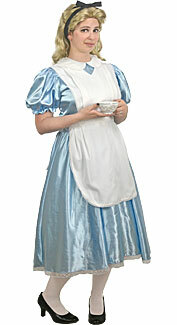 A classic costume with a blue dress. 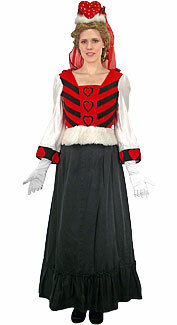 A red Queen of Hearts costume with decorative trim. 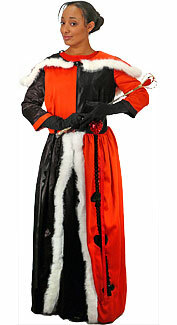 A black, white, and red Queen of Hearts costume. 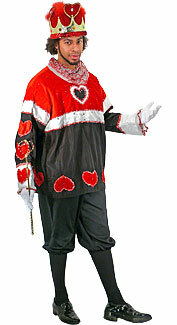 A black, white, and red King of Hearts costume. 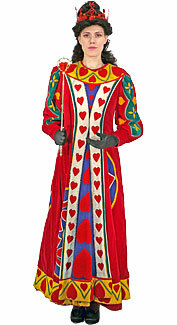 A red King of Hearts costume with decorative trim. 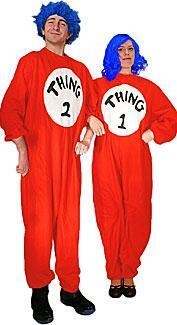 Red, white, and blue oversize jumpsuits with belts and beanie caps. 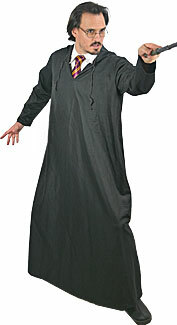 A full-length black hooded robe. 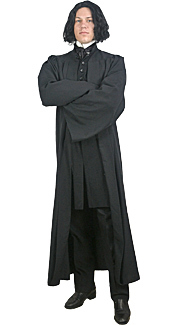 A wizard costume with a black robe. 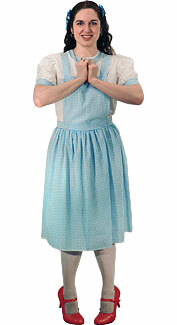 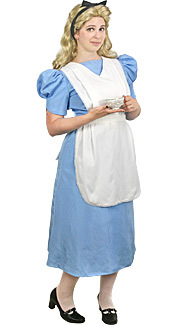 A blue and white costume with a checkered pinafore. 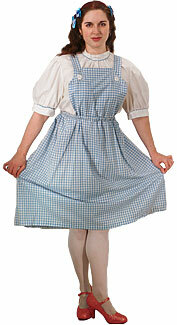 A blue and white costume with a checkered dress. 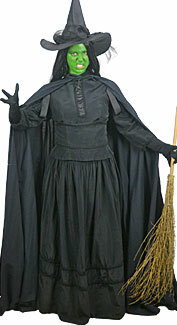 A classic Victorian-style witch costume. 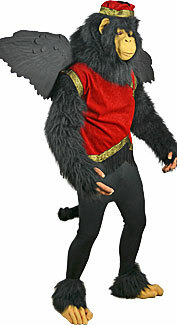 A winged monkey costume with a sculpted latex mask. 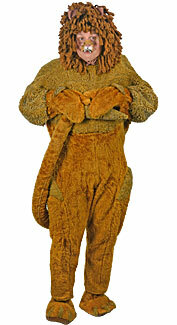 A lion costume with an open-faced hood. 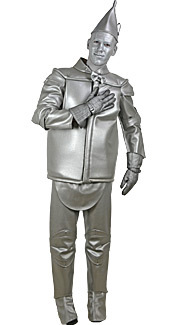 A Tin Man costume with a silver outfit. 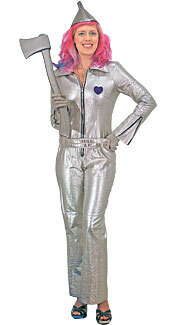 A Tin Lady costume with a silver jumpsuit. 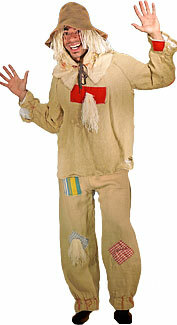 A straw-style scarecrow costume with patches. 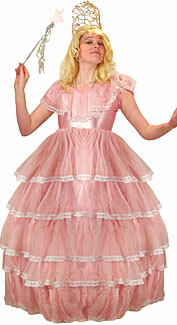 A pink costume with a poufy princess dress. 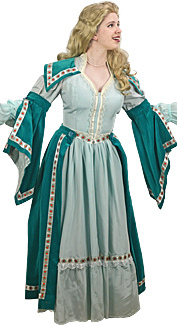 An officially-licensed costume for the Sleeping Beauty villainess. 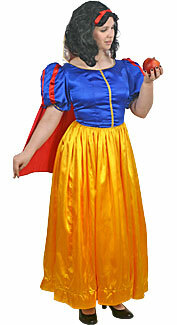 A classic red, blue, and yellow Snow White costume. 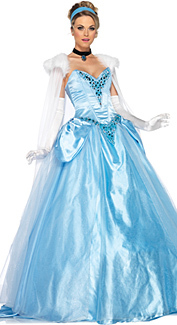 A mermaid costume with an iridescent outfit. 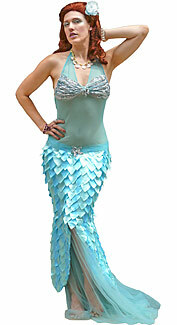 A mermaid costume with a sequined halter dress. 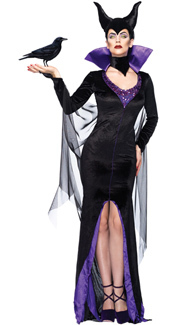 An officially-licensed costume for The Little Mermaid villainess. 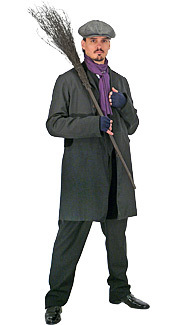 A Victorian-style costume with a black frock coat. 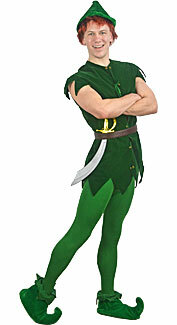 A classic Peter Pan costume with a green tunic. 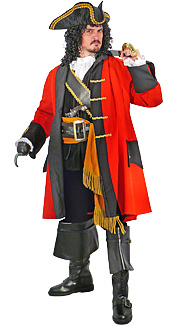 A pirate man costume with a bright red jacket. 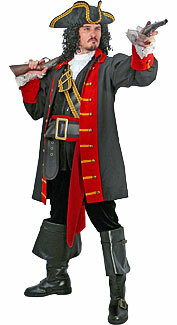 A pirate man costume with a black and red jacket. 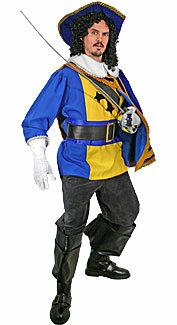 A Cavalier-style costume with a blue and yellow tunic. 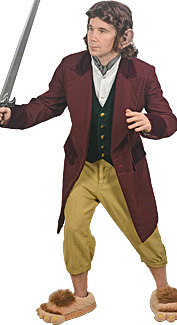 A Halfling costume with a maroon frock coat. 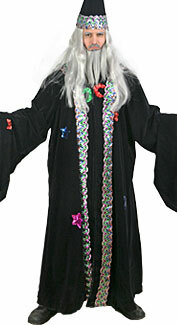 A black Wizard costume with celestial sequin appliques. 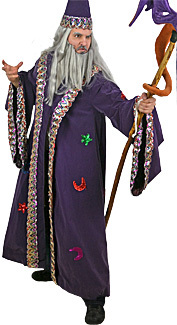 A purple Wizard costume with celestial sequin appliques. 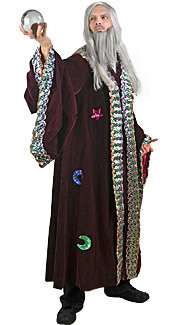 A maroon Wizard robe with celestial sequin appliques. 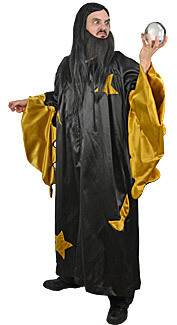 A yellow and black Wizard robe. 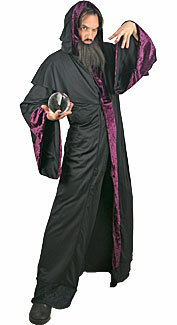 A black Wizard costume with iridescent sequins. 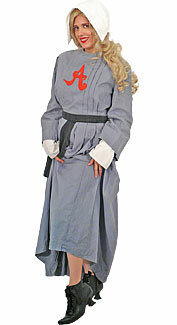 A gray and white Pilgrim costume with a scarlet A. 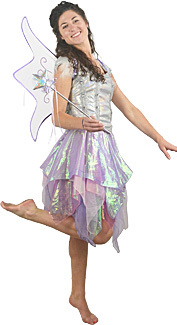 An iridescent silver, purple, pink, and blue fairy costume. 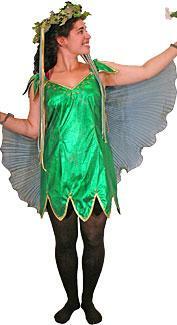 A metallic green woodland fairy costume with wings. 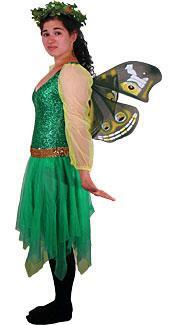 A woodland fairy costume with a metallic green leotard. 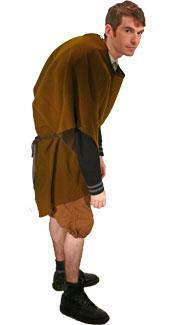 A brown tunic with accessories, modeled after the main character The Hunchback of Notre Dame. 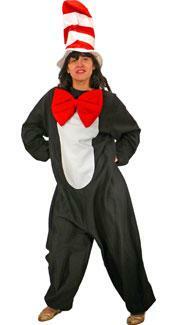 A soft black and white jumpsuit with a red bowtie and red and white striped hat. 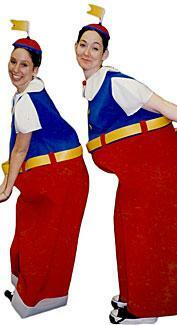 Red and white fleece jumpsuits with blue headpieces.